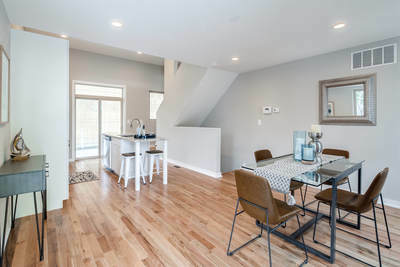 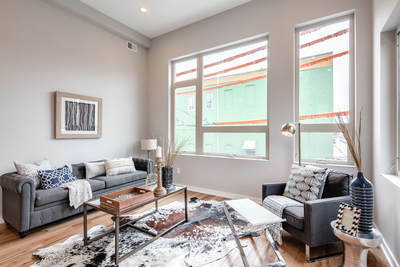 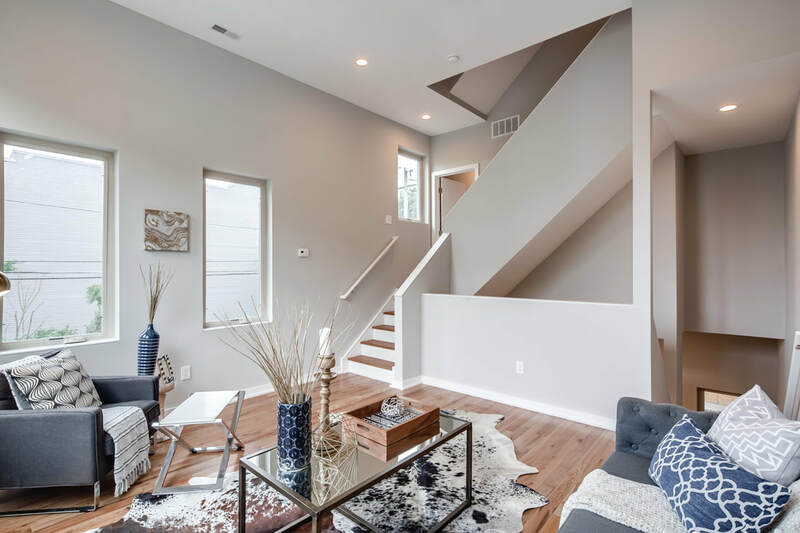 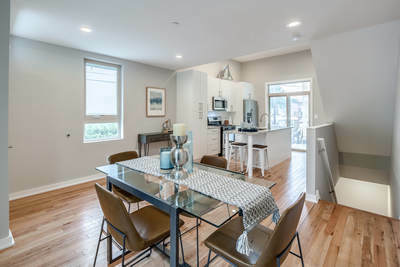 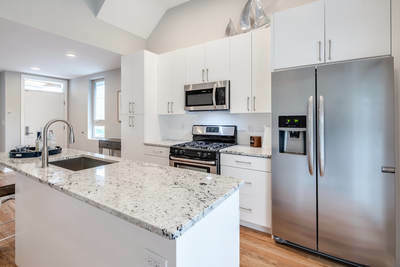 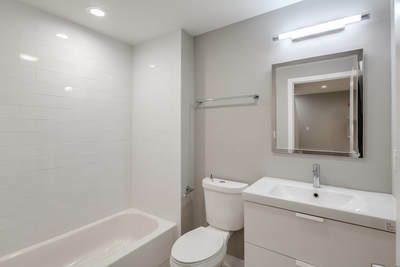 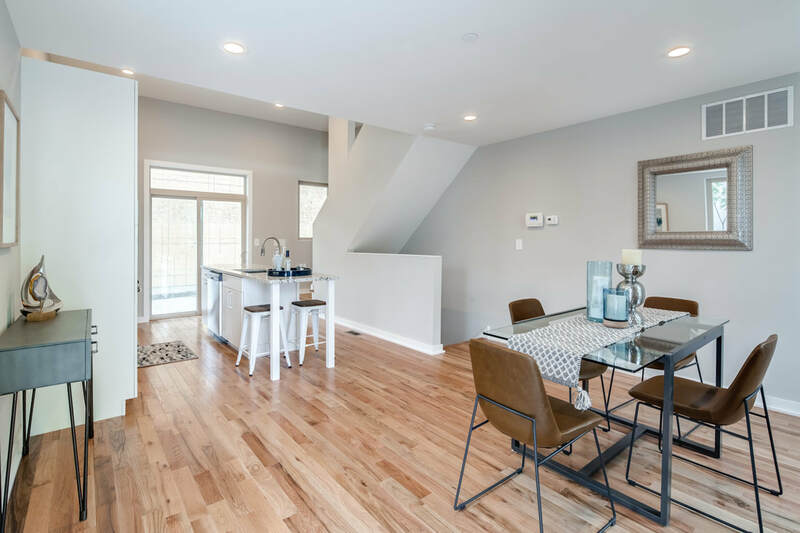 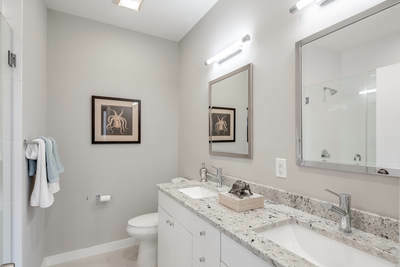 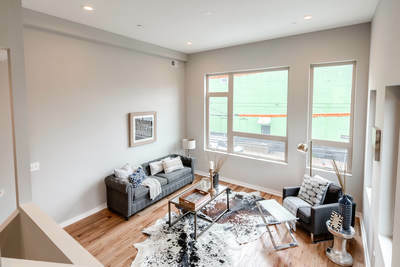 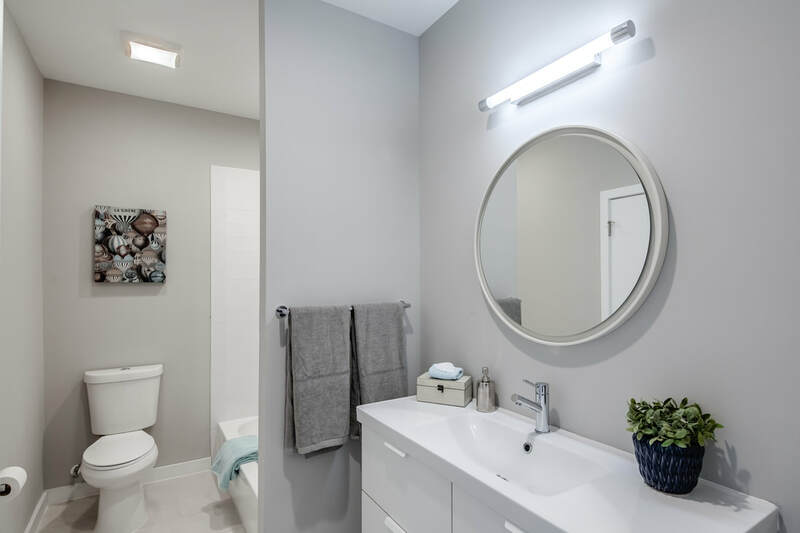 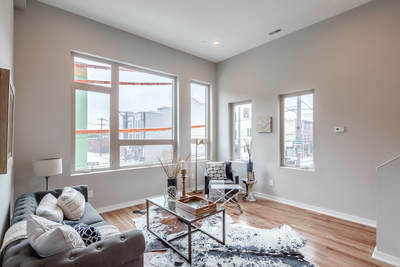 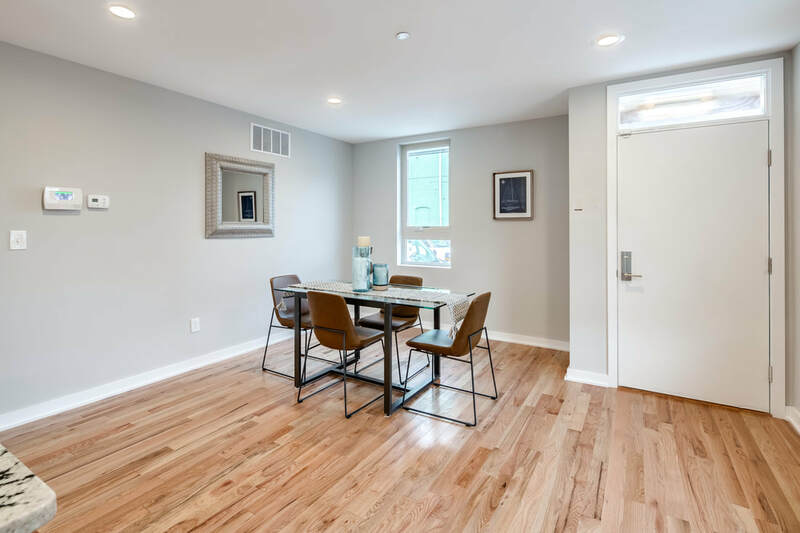 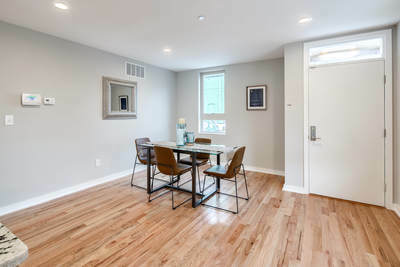 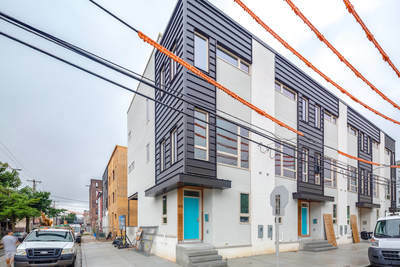 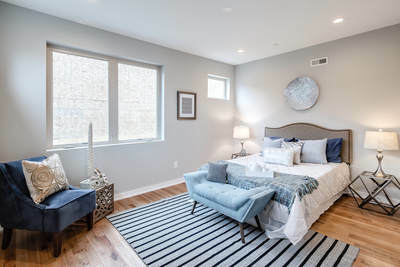 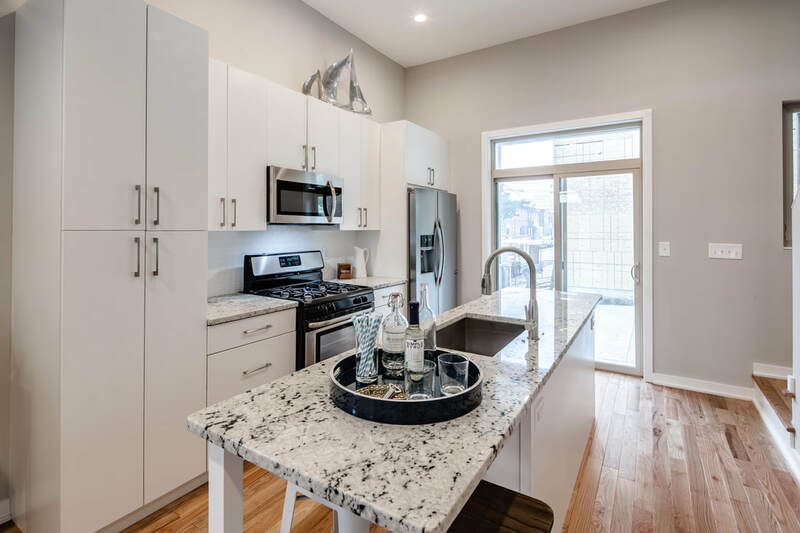 Mind-blowingly packed with amenities, the Suite Six is a collection of six attached homes facing the 1800 block of E. Cumberland St. with 1 or 2 car parking in the back. These homes are designed with natural light and indoor, outdoor living in mind. Each has three separate general purpose living spaces, one with 13’ high ceilings. 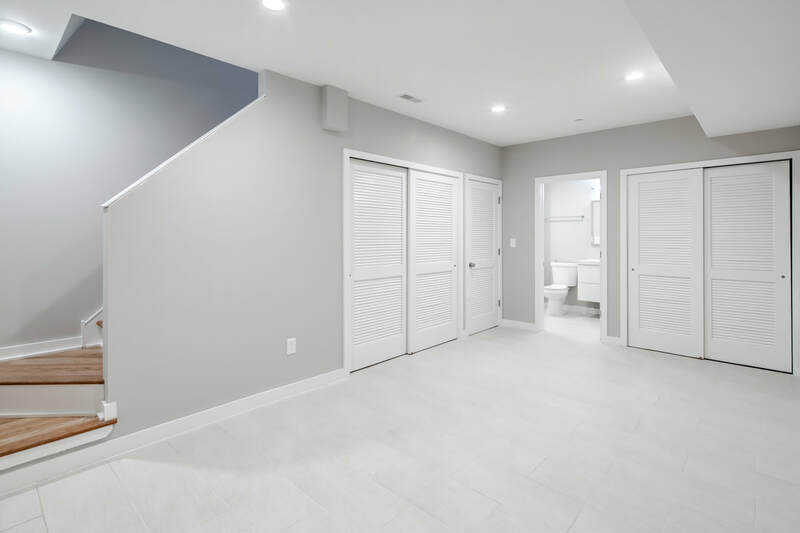 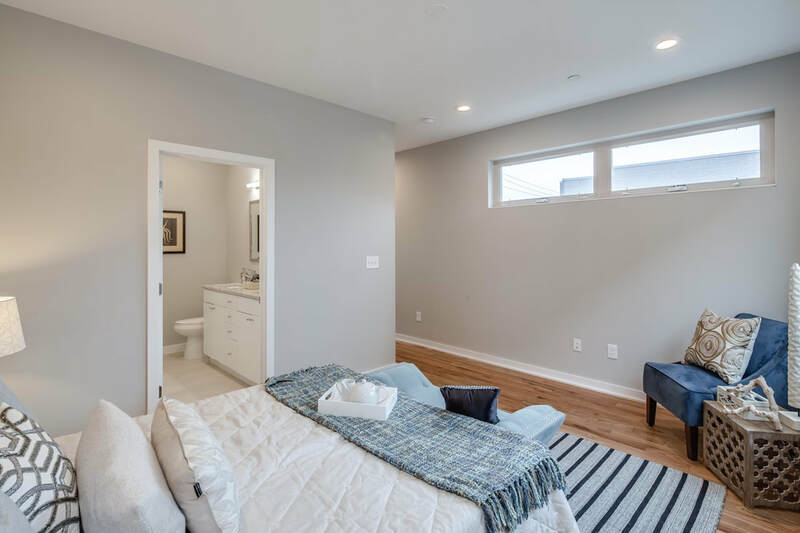 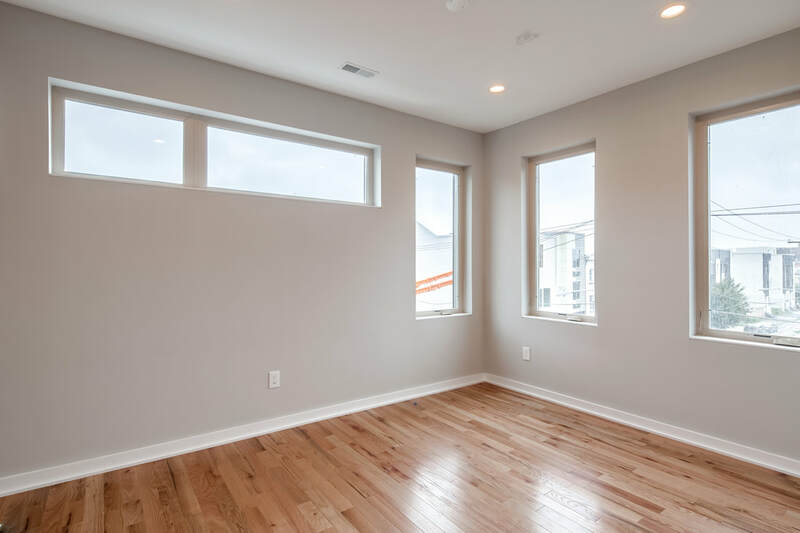 Oversized and strategically placed custom windows allow light to travel through a light well that illuminates the home from the 1st floor to the pilot house where the door to the roof deck can be found.